Many Parents look to Team Sports to get their Preschooler active. The reality is that the 3 and 4 year old child has not yet mastered even the basics such as balancing on one foot, catching or taking turns. Most of the time, rules are hard to comprehend at this early stage in their life. We understand what Preschoolers can handle. Children ages 3 to 4 year old should participate in fun and challenging activities that aren't beyond their abilities. We promise! It's SAFE ! Class takes place in a group setting limited to 10 students to ensure that every single one of them receives the personal attention they need. Our equipment is well padded for your Child's Safety as it is always our number one priority. Our schedule is flexible and designed for parents like you, with busy lives. Our Kids Martial Arts Program can be a great first step on building and refining these skills so that they can do great in any Team Sport. Starting too young can be frustrating for kids and may discourage future participation in such sports. So if you decide to sign your preschooler up for baseball , soccer, football or any other team sport, be sure to consider a physical activity and a program that emphasizes the fundamentals like Gymnastics or Taekwondo. Choose your spot and enroll now to claim your free uniform! On a trial, the Student may complete one class per week or twice per week. To ensure a successful journey and see great results we recommend a minimum of two classes per week. Completion of this Introductory Lesson does not guarantee admission to our Programs. Admission is granted as per our Instructors assessment. You've always wanted to learn these skills. The Time is Now! 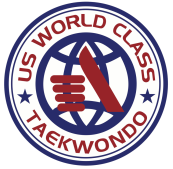 Get started on Basic Taekwondo Martial ArtsClasses with focus on Self Defense and overall Well Being. Experience is not necessary. Classes are for everyone. New Students Only. No commitment required.Completion of this Introductory Lesson does not guarantee admission to our Programs. Admission is granted as per our Instructors assessment. TO REDEEM FREE TRIAL FOR BOGO OFFERS, PURCHASE ONE IN YOUR CART/CHECKOUT AND REDEEM FREE TRIAL IN-HOUSE. BOGO OFFERS WILL BE NOTED IN PRODUCT TITLE ABOVE IF/WHEN APPLICABLE.